For each option we examine the range of feasible solutions before advising on the most appropriate cost effective structural engineering solution. We work closely with the Client’s Architects / Surveyors/ Building Contractors to ensure that the most cost effective design is prepared for the Client. Call 01 491 2415 today or email info@pkt.ie to get a quotation and advice about any structural engineering services that you require. We can provide detailed plans, scope of works and specifications for repair works for problems such as Fire, Flood, Subsidence or Pyrite Heave. 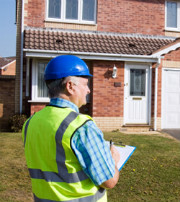 We also carry out interim inspections to ensure the works are completed in line with specification by the contractor. A structural pre purchase survey gives the buyer an independent assessment of the overall condition of a property. It identifies any aspects of a building that may need repair, replacement or on-going maintenance. The building survey provides the information needed to make an informed decision when purchasing a property as most houses have some defects. 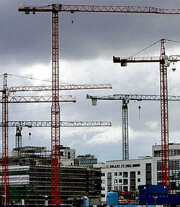 In addition to defects with visible building components from ground to roof level. Plumbing and heating components will be visually checked and will not be tested. Where testing is considered necessary this would be recommended in the building report. Sewers are inspected to the extent of lifting covers on manholes. Follow up testing may be recommended where appropriate, subject to the visible inspection results. Structural survey cost varies depending on the age of the building, size of building, type of report required and location. Call 01 491 2415 today or email info@pkt.ie for a quotation. Structural cracking to interior and external structure. Structural report cost varies depending on the age of building, size of building , type of report required and location. Call 01 491 2415 today or email info@pkt.ie for a quotation.